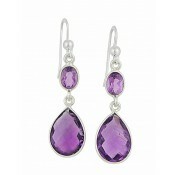 With an almost handcrafted beauty, these amethyst drop earrings will capture everyone's attention. 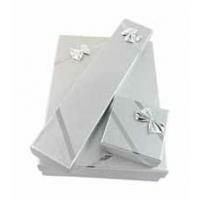 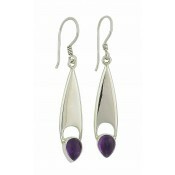 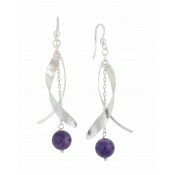 They have a double-height design with curved silver bars and richly coloured Amethyst ball. 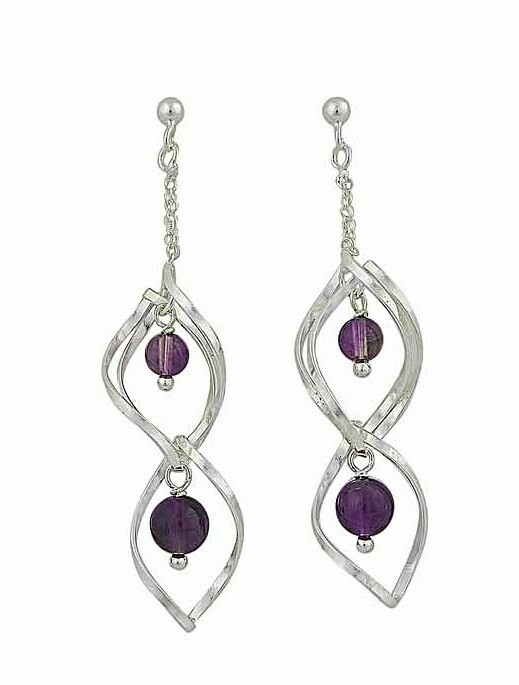 A simple chain snakes up to the stud and butterfly fitting which holds them in place all day long while allowing them to sway.